On November 18, 1978, over 900 members of the People’s Temple were found dead in Jonestown, Guyana. To this day it is the largest mass suicide-murder in history. Among the dead is leader Jim Jones, who died of a single gunshot wound to the head. Jones had been the pastor of the People’s Temple since its beginning in California and remained in control, overseeing the move to Guyana and the subsequent downward spiral. Tim Reiterman was a journalist with the Associated Press and his career has spanned more than three decades. He is also a survivor of Jonestown and presents to us the full story of Jim Jones and the People’s Temple. On that fateful day, Reiterman had been covering Congressman Leo Ryan’s visit to Jonestown to meet with Jones. He was shot and wounded as Jones’ henchmen opened fired on the congressman’s place as it waited to take off. He was seriously wounded but escaped into the jungle eventually finding refuge among the local residents. He eventually returned to United States but carries the memories of Jonestown with him everyday. The true mystery of Jonestown remains Jones’ motives for its tragic end. His ability to proselytize and then exploit his followers earned him a following that grew exponentially. His subsequent actions including the move to Guyana and the tragedy that followed have caused his name to be mentioned among the likes of Charles Manson, Marshall Applewhite and David Koresh. Through his actions, Jones became the poster boy for cults across the nation and he is considered by some to be the most evil cult leader that has ever lived. Survivors of Jonestown have come forward to tell their stories about the People’s Temple and their encounters with Jones. Many years have passed but the scars and pain from Jonestown remain with them. Anger, confusion and survivor’s guilt are just some of the range of emotions that engulf survivors that still struggle to make sense of a senseless act. But as we see in Reiterman’s investigative report, many of Jones’ action did not make sense and no one knew for certain what he was truly thinking. The man who once led a progressive church that had the ability to effect social reform, descended into a realm of paranoia and fear, encourage by drug use. His downward spiral into darkness had deadly results. Larry Layton was the only person ever convicted in the massacre and was paroled in 2002. His sister Deborah, a survivor of Jonestown and escapee, wrote her own memoir, ‘Seductive Person‘, about her time in the People’s Temple. What she reveals in her book shows an even darker side to Jones, a man consumed by a thirst for power and unrestrained sexual urges. Layton remains active and even has her own Twitter page showcasing her work. She has come a long way since Jonestown, but her time with Jones remains with her in memories of the mother she left behind in Guyana and a brother enticed to commit murder. She is just one of many whose lives will never be the same. Jones is longer here to explain his actions or thoughts. By all accounts it is clear that by the time of his death he was completely unhinged and delusional or as Reiterman shows us, completely out of his mind. What started out as a noble project to change society ended in unspeakable horror and today Jonestown is case study in the power of cult leaders. There are many stories about Jonestown told from different viewpoints. 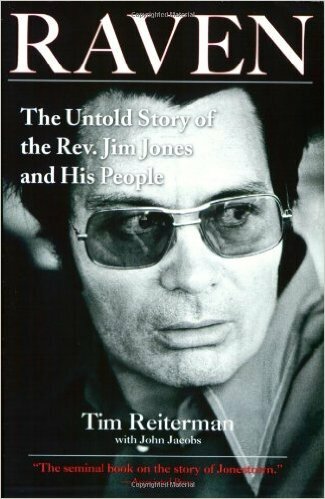 But in the end, this is the completely story of the rise and fall of Jim Jones and the People’s Temple. Posted on July 22, 2015, in Cults and tagged Jim Jones, People's Temple. Bookmark the permalink. 1 Comment.